Don't have time to run all the various tools and scripts to keep your Mac running smoothly? MainMenu makes these tasks quick and easy, right from your menu bar. Rebuilding your Spotlight library for faster searching, repairing permissions, cleaning caches to improve application performance, and even more advanced settings — such as enabling and disabling the Dashboard — are no more than two clicks away. MainMenu is full of powerful maintenance tools to keep your Mac running like new, within a slick, simple interface. It doesn't do anything that can't already be achieved using freeware utilities, but it does bring a lot of useful functions under one easy-to-find/easy-to-navigate menu. I've been using it for a while now, and it does all the above functions, along with a number of others I would otherwise have to use a separate utility for, including 'force empty trash'. And it is free. Thank you Santa Software for my early Christmas present. PC Magazine has collected 12 of the weirdest USB-powered devices, and displayed them on a page titled '10 Weirdest USB Devices'. Curiously, they fail to mention which 2 of the 12 items they don't consider weird. 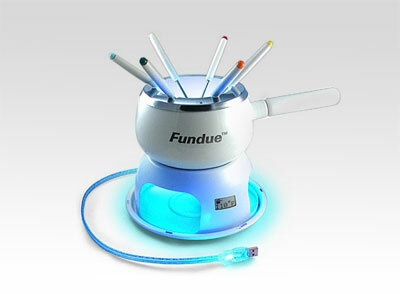 Amongst the gems are memory sticks made of real sticks, the fondue (sorry, FUNdue) set pictured, a disco ball and a hamster wheel. It seems to me that the hamster wheel was a wasted opportunity. Surely it would have been better if they had installed a mini-generator in the wheel's hub, the hamster (not included) could then earn its sunflower seeds charging my PowerBook's battery. Rauzier sees his 'hyper-photos' as the photographic equivalent of hyper-Realistic paintings, popularised in the 1970s by artists like Richard Estes). 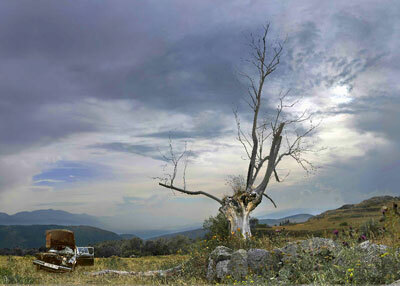 Rauzier 'wants the viewer to have to make an effort to tell if it’s a photo or a painting'. He starts with 600-700 photos of a single scene taken over a period of at least 1-2 hours. He then stitches them together using Photoshop (the only program he could find that was capable of managing the 10-15 gigabyte files). We do it automatically. As soon as we observe another person, we try to read his or her face for signs of happiness, sorrow, anxiety, anger. Sometimes we are right, sometimes we are wrong, and errors can create some sticky personal situations. Yet Paul Ekman is almost always right. The psychology professor emeritus at the University of California, San Francisco, has spent 40 years studying human facial expressions. He has catalogued more than 10,000 possible combinations of facial muscle movements that reveal what a person is feeling inside. And he has taught himself how to catch the fleeting involuntary changes, called microexpressions, that flit across even the best liar's face, exposing the truth behind what he or she is trying to hide. Does his talent make him a mind reader? "No," he says. "The most I can do is tell how you are feeling at the moment but not what you are thinking." He is not being modest or coy; he is simply addressing the psychological bottom line behind facial expressions: "Anxiety always looks like anxiety," he explains, "regardless of whether a person fears that I'm seeing through their lie or that I don't believe them when they're telling the truth." The professor calls the ever present risk we all take of misreading a person's visage "Othello's error." In Shakespeare's drama, Othello misinterprets the fear in his wife Desdemona's face as a sign of her supposed infidelity. In truth, the poor woman is genuinely alarmed at her husband's unjust, jealous rage. Othello's subsequent decision to kill Desdemona is a fatal error, and Ekman wants to make sure that police, security personnel and secret service agents do not make the same mistake. Ekman in 1967 visited extremely isolated tribes living in the jungles on the island of New Guinea. He found that the basic emotions he had postulated, such as happiness, sadness, anger, fear, surprise and disgust, were associated with universal facial expressions. [Ekman is certain that] the language of the face has biological origins, and culture has no significant effect on it. 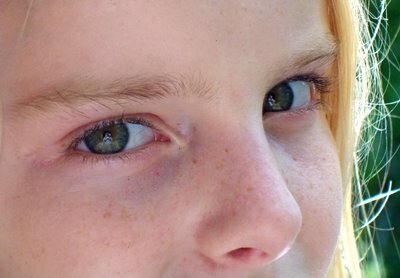 By paying close attention to microexpressions, people can learn to read signals that previously would have been perceptible only in slow motion. And here Ekman hit on another interesting phenomenon: most people - including law students, police officers, judges and prosecuting attorneys - find it difficult to expose fakers, but a small number of people seem to be able to correctly interpret microexpressions intuitively. Apparently, some of us are born with handy lie detectors. 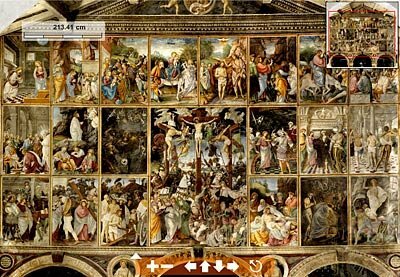 HAL9000, an Italian group that specializes in art restoration, preservation and high-resolution art photography, has created an 8.6 gigapixel image of the 1513 work entitled Parete Gaudenziana, which is over 35 feet wide and graces the interior of the church of Santa Maria delle Grazie in Varallo Sesia, Italy. 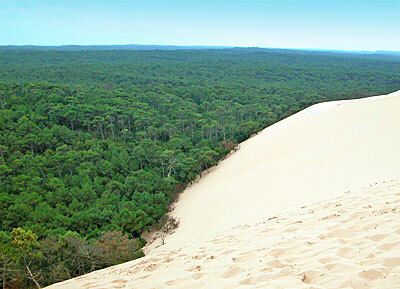 The online version of the photo allows zooming and scrolling right up to full resolution. Day Roman is a balanced Gill-influenced face, with shades of Joanna and Aries. It has 'proper' numerals, and a complementary 'expert' set. Hadley (and Hadley Alternate) provides a well-kerned, surprisingly legible art-deco typface with a number of letter-shape options. Republika would be equally at home on a techno album sleeve or the bottom of a skateboard. And there is a bewildering range of widths and variations available, including italic. Scriptina captures the spirit of beautiful handwriting, and includes a range of alternate characters. Sedillo is a legible 'hand-formed' font, with the lower case providing alternative shapes. A total of four NASA spacecraft have been sent to explore Saturn. Pioneer 11 was first to fly past the planet in 1979. Voyager 1 was next, followed by its twin, Voyager 2, in 1981. 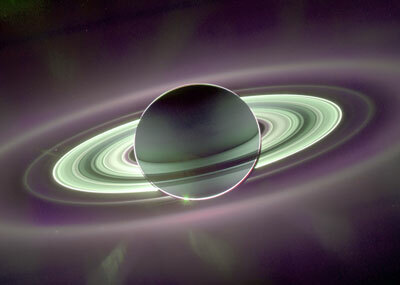 The Cassini spacecraft is the first to explore Saturn's rings and moons from orbit. Cassini entered orbit on 30 June 2004 and has been sending data and images ever since. The total cost of the Cassini-Huygens mission is about $3.26 billion. The image you see above this text was created by combining a total of 165 ultraviolet, infrared and clear filter images. And what do you know, THE RESULTING PICTURE IS INDISTINGUISHABLE TO THE 'ARTIST'S IMPRESSIONS' I USED TO LOOK AT IN MY SCHOOLBOOKS OVER 30 YEARS AGO! Mind you, Cassini was 1.3 million miles from Saturn when the images were taken. 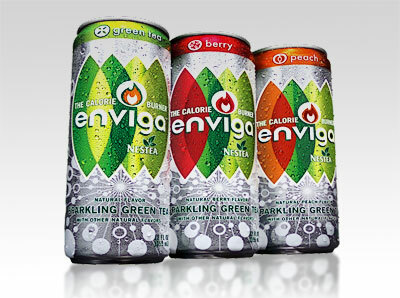 The drink proven to burn calories – Enviga – hits the U.S. market in the Northeast in November and will roll out nationally in January 2007. A carbonated drink containing green tea extracts, calcium, and caffeine, Enviga is a joint venture of Nestlé and Coca-Cola. “Enviga increases calorie burning. It represents the perfect partnership of science and nature,” said Dr Rhona Applebaum, chief scientist, The Coca-Cola Company. “Enviga contains the optimum blend of green tea extracts (EGCG), caffeine and naturally active plant micronutrients designed to work with your body to increase calorie burning. “The accumulated body of scientific research shows the ability of green tea’s powerful antioxidant EGCG (epigallocatechin gallate) to speed up metabolism and increase energy use, especially when combined with caffeine” said Nestlé researcher Dr Hilary Green. Studies have shown that when EGCG and caffeine are present at the levels comparable to that in three cans of Enviga, healthy subjects in the lean to normal weight range can experience an average increase in calorie burning of 60 – 100 calories. “We’ve seen a shift in consumers’ attitudes toward diet and health and wellness, with more consumers seeking product choices that support active lifestyles, rather than just eliminating things from their diet,” said John Hackett, senior vice president, Coca-Cola North America Marketing. 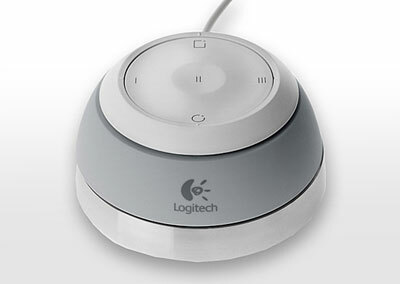 Logitech have announced a new computer control device. The NuLOOQ (eughh!) navigator is a stationary control device, about the size of a bisected tennis ball. It has a multi-dimensional 'navring', allowing 360 degree pan and zoom and a touch sensitive circular disk, called the *cough* tooltuner for fine control. Using the hand you don't use to control your mouse, it allows you to adjust brush sizes by 1 pixel increments in Photoshop, or text attributes in InDesign, timelines in video/audio apps or control your system volume using the touch sensitive circular disk. Nudging the grey ring forwards, backwards, up, down, or twisting it clockwise or counter clockwise, allows you to instinctively navigate your way around your digital pictures, illustrations, documents and (if that's your thing) spreadsheets. A click or tap on the top plate can execute undo and redo commands, access Photoshop tools, or play/pause a video/audio track. Pre-programmed macro commands could also be triggered using this method, for regularly-used keyboard or mouse-click sequences. The NuLOOQ's web page has more information, and an interactive demo. As someone who spends a lot of time working on documents that demand a mixture of mouse and keyboard input, I will be very interested to give this device a try. One important question the Logitech site doesn't seem to address is, with both of my hands now being used to control my computer, how am I going to supply my face with sandwiches and coffee? African farmers are reclaiming the desert, turning the barren wastelands of the Sahel region on the Sahara's southern edge into productive farmland. Comparison of satellite images taken this year and 20 years ago show that the desert is in retreat thanks to the replanting of hundreds of thousands of Ana trees, a type of Acacia. And wherever the trees grow, farming can resume. Tree planting has led to the re-greening of 3 million hectares of land in Niger, enabling 250,000 hectares to be farmed again. The land became barren in the 1970s and early 1980s through poor management and felling of trees for firewood, but since the mid-1980s farmers in parts of Niger have been protecting them instead of chopping them down. "The results have been staggering", said Chris Reij of the Free University Amsterdam in the Netherlands. 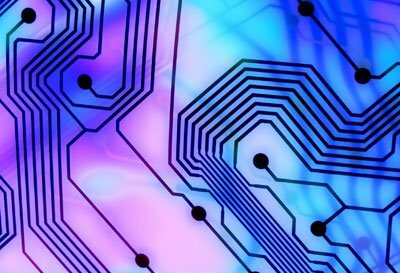 Glitch (also known as Clicks and Cuts) is a genre of electronic music that emerged in the late 1990s. It is produced by mixing and sequencing tiny samples of music with beats comprised of electronic pops, clicks and erm, glitches. William Fields has been experimenting with sound since 1993. If your local HMV has it as a category, his work will be filed under 'Glitch' (incongruously snuggled between 'Garage Rock' and 'Gospel') but, in contrast to the majority of the music in this genre, Fields' compositions are exceptionally emotive, warm and melodic. His use of looped samples bring to mind the ambient works of Brian Eno (especially 'Music for Airports') while the complex, unsettling rhythm changes have echoes of Drum'n'Bass and Jungle recordings. A number of his pieces are available for free download at his site. 'Branches' and 'Asoka' are a good place to start. If you have a 20 minute journey some time in the near future, 'Twenty Four' (track 6 on Asoka) would make a marvellous companion. Thanks to Conrad for bringing Mr Fields' work to my attention. Is our sense of justice hardwired? Using a tool called the 'ultimatum game', researchers have identified the part of the brain responsible for punishing unfairness. Subjects were put into anonymous pairs, and one person in each pair was given $20 and asked to share it with the other. They could choose to offer any amount – if the second partner accepted it, they both got to keep their share. In purely economic terms, the second partner should never reject an offer, even a really low one, such as $1, as they are still $1 better off than if they rejected it. Most people offered half of the money. But in cases where only a very small share was offered, the vast majority of "receivers" spitefully rejected the offer, ensuring that neither partner got paid. Previous brain imaging studies have revealed that part of the frontal lobes known as the dorsolateral prefrontal cortex, or DLPFC, becomes active when people face an unfair offer and have to decide what to do. The researchers found that the DLPFC region's activity on the right side of the brain, but not the left, is vital for people to be able to dish out such punishment. "The DLPFC is really causal in this decision. Its activity is crucial for overriding self interest," says Fehr. When the region is not working, people still know the offer is unfair, he says, but they do not act to punish the unfairness. "Self interest is one important motive in every human," says Fehr, "but there are also fairness concerns in most people." "In other words, this is the part of the brain dealing with morality," says Herb Gintis, an economist at the University of Massachusetts in Amherst, US. 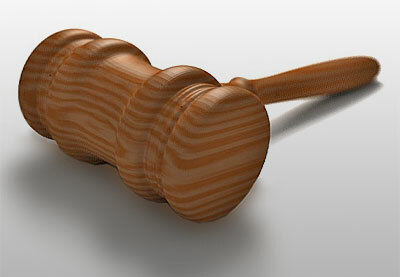 "[It] is involved in comparing the costs and benefits of the material in terms of its fairness. It represses the basic instincts." Psychologist Laurie Santos, at Yale University in Connecticut, US, comments: "This form of spite is an evolutionary puzzle. There are few examples in the animal kingdom." The new finding is really exciting, Santos says, as the DLPFC brain area is expanded only in humans, and it could explain why this type of behaviour exists only in humans. Fehr says the research has implications for how we treat young offenders. "This region of the brain matures last, so if it is truly overriding our own self interest then adolescents are less endowed to comply with social norms than adults," he suggests. The criminal justice system takes into account differences for under-16s or under-18s, but this area only fully matures around the age of 20 or 22, he says. well, if you lived 60 years ago, and were 'good with your hands'! 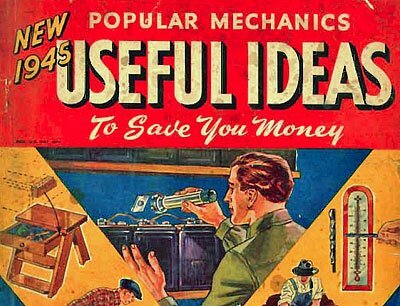 JavaMoose's flickr site contains 105 lovingly scanned pages of a 1945 copy of Popular Mechanics, an magazine that has published articles devoted to science and technology since 1902. I can remember flicking through battered, musty-smelling copies that my dad had kept, marvelling at the fact that he grew up in an era when people built aeroplanes in their garages from sheets of plywood and lawnmower engines! The articles range from the practical to the bizarre. My personal favourites are the 'Monogram Guide' (p9) and the 'Condiment set with sailboat cutout' (p11), while headlines like 'Scrub Brush Is Handy Stroker for Long Belt Sander' (p12), 'Jigsawed Dutch Boy Holds Your Pipe with Both Hands' (p23) and 'Everyday Uses for Rubber Suction Cups' (p33) would all make excellent Monty Python sketch titles. If you can't be bothered to view each scan individually, click here to download/view a PDF of all the pages. Publishers are starting to report an uptick in sales from Google Inc.'s online program that lets readers peek inside books, two years after the launch of its controversial plan to digitally scan everything in print. Google has been enlisting publishers to voluntarily submit their books so that Web searchers can more easily find titles related to their interests, but some fear the project could lead to piracy or exploitation of their copyrighted content. "Google Book Search has helped us turn searchers into consumers," said Colleen Scollans, the director of online sales for Oxford University Press. She declined to provide specific figures, but said that sales growth has been "significant." Scollans estimated that 1 million customers have viewed 12,000 Oxford titles using the Google program. 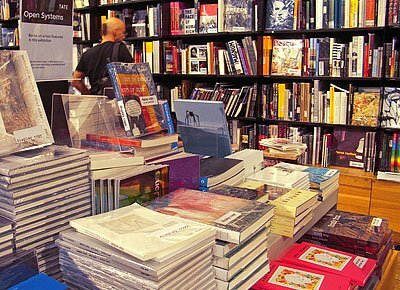 Book search results from Google provide short page snippets and links to buy the books from online retailers or directly from publishers. Some of the same publishers participating in the program have also united to file a lawsuit against Google alleging copyright violation over a separate plan by the Web search leader to digitize the world's libraries. Specialty publisher Springer Science + Business reported sales growth of its backlist catalog using Google Book Search, with 99 percent of the 30,000 titles it has in the program getting viewed, including many published before 1992. "We suspect that Google really helps us sell more books," said Kim Zwollo, Springer's global director of special licensing, declining to provide specific figures because the company is privately owned. Others, including Penguin, have been less encouraged by Google, and have found greater success from other partnerships. "Our experience has been that the revenue generated from Google has been pretty modest, whereas the Amazon program has generated more book sales," Penguin Chief Executive John Makinson told Reuters at the Frankfurt Book Fair this week. Amazon.com's search tool also allows users to scan the contents of books and browse sample pages. For Penguin's books included in the U.S. "Search Inside" program, sales have increased by 7 percent. Historical warfare publisher Osprey is reaping the benefits of using both Google and Amazon to boost sales. "When we looked at the first six months of stats, we saw that 30 percent of Google Book Search clicks went directly to our site, while roughly 40 percent went to Amazon," said William Shepherd, Osprey's managing director. "Our sales through the Web are steadily increasing in proportion to our total sales, and we're confident that Google Book Search will accelerate this growth." Walter de Gruyter/Mouton-De Gruyter, a German publisher, said its encyclopaedia of fairy tales has been viewed 471 times since appearing in the program, with 44 percent of them clicking on the "buy this book" Google link. 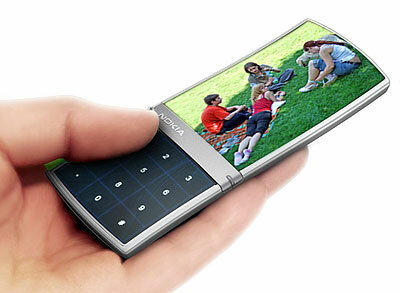 Sony Ericsson have launched the MBW-100 Bluetooth Watch. 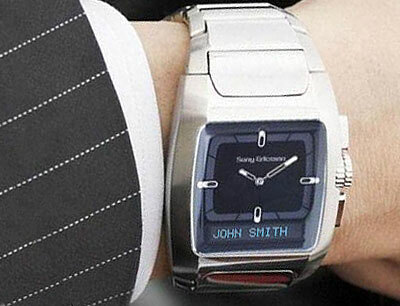 The analogue watch will go on sale globally during Q4 of 2006 with a guideline retail price of EUR 300. Designed in partnership with fashion watchmaker Fossil, the MBW-100 sports an OLED display beneath the watch face which displays who is calling you on your mobile (well, as long as your mobile is a Sony Ericsson K610, K610i, K618, K790, K800, V630, W710, W850, Z610 or Z710). 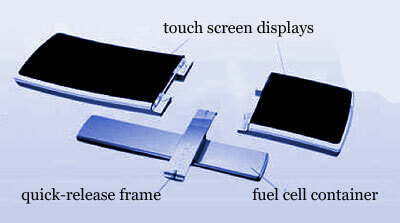 A key press on the watch rejects the call, or diverts it to the phone or bluetooth headset. The watch also allows you to play, pause and skip to the next track on your phone's music player, notifies you of text messages received and lets you know when your are out-of-range from your phone. And now the bad news. It weighs 190 grammes. That's 5 grammes more than my 60 gigabyte iPod Photo. 190 grammes is twice the weight of your average candy-bar mobile phone, so why not just have the phone built in to the watch? 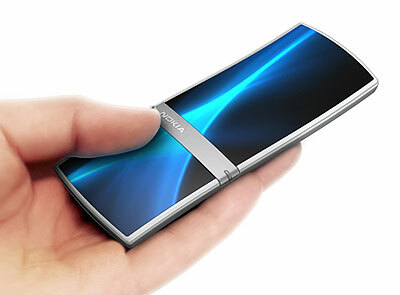 An attractive lightweight wristwatch-style phone which paired to a bluetooth headset might get me wearing a watch again! "Most consumers cannot do without the indispensable tools for their busy lives"
Frank Miller has been around for a long time. His first published work was in 1978 (as an artist for Gold Key Comics). He then progressed through DC Comics to Marvel where he drew a couple of Spiderman episodes, with Daredevil as a supporting character. Miller developed Daredevil, making him a darker and more complex character, and began plotting the stories as well as doing the drawing. Elektra was his next creation, another damaged and conflicted creation, infused with Manga-inspired themes. And he's been going darker ever since, including Batman: The Dark Knight Returns (a brilliant re-invention Batman as an older man) and Sin City (about as dark as you can get!). In 1998 he produced a five-issue comic called '300' (written and drawn by him, and coloured by Lynn Varley). This was released as a 'coffee-table' book in 1999, and is probably my favourite graphic novel. 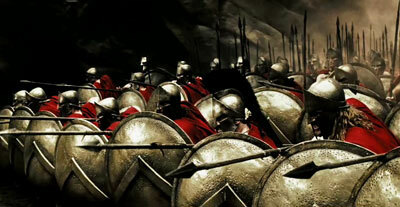 It is a less-than-historical portrayal of the Battle of Thermopylae in which King Leonidas and 300 Spartans fought to the death against Xerxes and his massive Persian army. And now it's being made into a film! And if the trailer is anything to go by, it's going to be great, using similar techniques to those used in the Sin City movie to keep the graphic novel atmosphere alive. Hurrah! Scientists have already achieved the feat of 'teleporting' similar objects such as light or single atoms over short distances from one spot to another in a split second. The experiment involved for the first time a macroscopic atomic object containing thousands of billions of atoms. The information was transferred over a distance of half a meter. "Teleportation between two single atoms had been done two years ago by two teams but this was done at a distance of a fraction of a millimeter," Polzik, of the Danish National Research Foundation Center for Quantum Optics, explained. "Creating entanglement is a very important step but there are two more steps at least to perform teleportation. 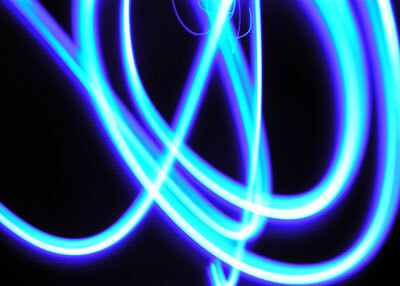 We have succeeded in making all three steps - that is entanglement, quantum measurement and quantum feedback," he added. Bert Monroy has been working with digital pictures since MacPaint. His latest creation is a monster, a Chicago scene unveiled at Photoshop World in Miami on March 22, 2006. 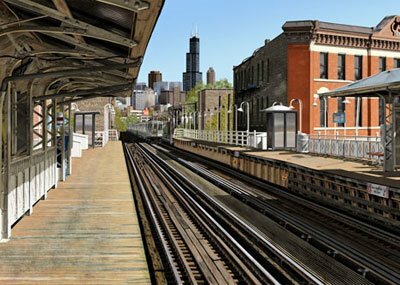 It is a panorama of the Damen Station on the Blue Line of the Chicago Transit Authority. Adobe Illustrator was used for generating the majority of the basic shapes as well as all the buildings in the Chicago skyline. The rest was created in Adobe Photoshop. • The finished image size is 40 inches by 120 inches. • The painting is comprised of fifty Photoshop files. • The image contains over 15,000 layers. • Over 500 alpha channels were used. • Over 250,000 paths were drawn. Visit his site to have a gawp. My good 'friend in the furniture industry' Andrew Smith phoned me yesterday to enthuse about a furniture store he'd just visited. Ilva have successfully traded in Denmark for over 30 years. In a 'coals to Newcastle'-style move they opened a flagship store in Sweden a couple of years ago. And now they're moving into Britain, with stores in Thurrock and Manchester open already, and others planned. They have a high-quality PDF brochure available for downloading. However, according to Andrew, the real fun is in visiting the stores. Unlike Ikea's 'walking around a warehouse' approach, they have spent a lot of time and effort making the stores a pleasure to be in. 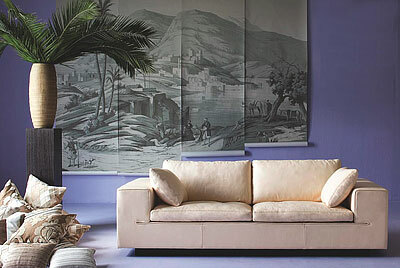 Design and quality of the products is a few shades above Ikea as well. Maybe Armstrong got it right! Some historians and critics have dogged Armstrong for not saying the more dramatic and grammatically correct, "One small step for a man..." in the version he transmitted to NASA's Mission Control. 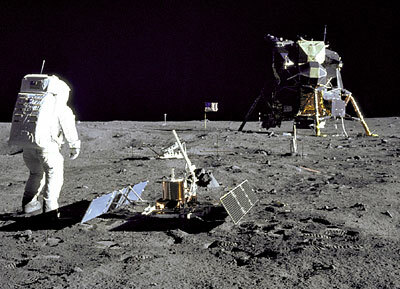 Without the missing "a," Armstrong essentially said, "One small step for mankind, one giant leap for mankind." The famous astronaut has maintained that he intended to say it properly and believes he did. Thanks to some high-tech sound-editing software, computer programmer Peter Shann Ford might have proved Armstrong right. Ford said he downloaded the audio recording of Armstrong's words from a NASA website and analyzed the statement with software that allows disabled people to communicate through computers using their nerve impulses.